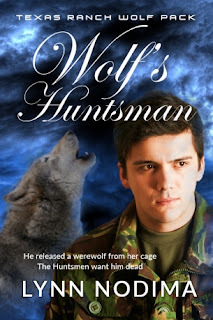 Wolf's Huntsman published on Kindle today, July 28, 2017. The paperback is still processing but will publish later today or tomorrow. The book continues the story of Nate Rollins, the Royal Alpha werewolf, and his friends as they try to make the world a safer place for all werekind and humankind. Click here to read the first three chapters free! However, I will not be done writing in this world. Minor characters want their stories told, too. I am planning a second series in this universe telling the back stories of many of these characters, how they came to be a part of the series, and where their lives take them from here. Time will tell how many books are written in this universe. If more stories keep popping into my head, this universe may supply several series. Thank you for reading my books. Thank you for reading my blog posts. I can't tell you how much I appreciate you all!